Are you planning 2 plus years out? Our Perpetual Wall Calendar is just for you! Current year on front along with an imprint. 14 calendars on the backside along with the code, plus imprint area. 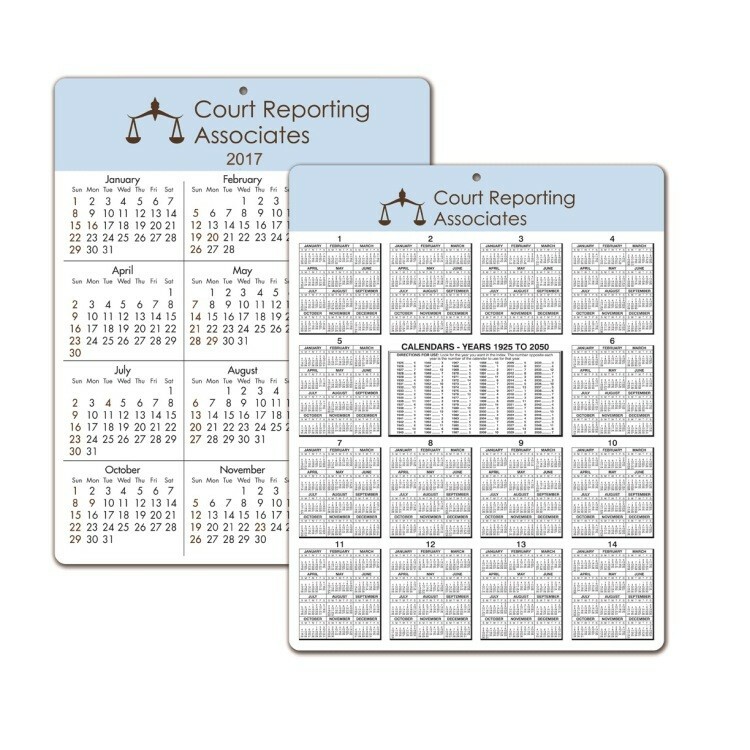 Perfect for Court Reporters, Engineers, Manufacturing, etc. weight: .015 White Plastic | size: 8-1/2" x 11"
This product is available on eco friendly material and available for Rush and Lightning Production. .020 Add: .07(v). On Top Hole Punched Add: .06(v). Est Shipping Weight: 80 lbs/M and 106 lbs/M for .020. Ad Copy Area: Front: 8" x 1-1/4" and Back: 8" x 1".